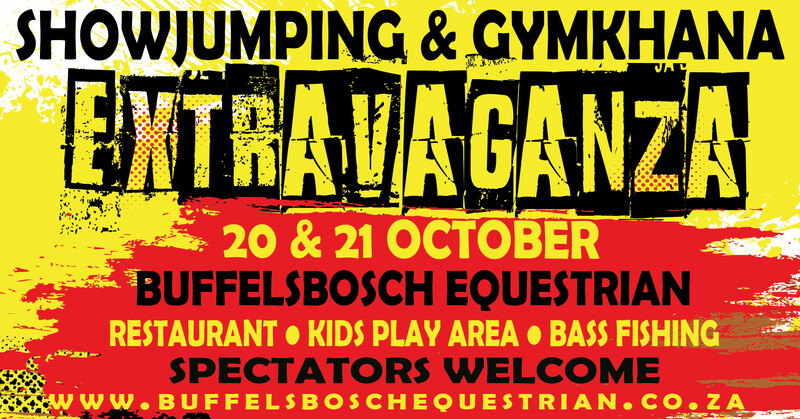 Buffelsbosch Equestrian is proud to present the Show Jumping and Gymkhana Extravaganza. Join us on the 20th and 21st October 2018 for a fun filled weekend for all riders and spectators as we enjoy our last Show Jumping Show at Buffelsbosch Equestrian for 2018. For those wanting to spectate we have a shaded grass bank and grandstands overlooking the arena. The Restaurant will be open to ensure everyone is well fed and a secure Kids Play Area will keep the little ones entertained. Bass fishing will also be on offer in our well stocked dam for those wanting to relax with a line in the water at R100.00 per person per day.